After taking a break for Christmas, the Penguins and the Devils will be back at it tonight to finish up the second game of their home and home series. For Pittsburgh, the timing couldn't be any better as the back-to-back against New Jersey follows their worst performance of the season, a 7-1 shellacking at the hands of the league-leading Columbus Blue Jackets. They've already won the first game 4-1, and depending on the other action around the league a win could vault them into first place in both the Metro and the NHL. Cory Schneider has been the glue that has held the Devils together in recent seasons, but his start to the 2016-17 season has easily been the worst of his career. With elite career numbers of a 0.925 SV% and 2.16 GAA, Schneider had routinely found himself in the discussion of best goaltenders in the game, and deservedly so, but through 26 starts on the season Schneider has currently posted a 0.905 SV% and 2.86 GAA. Making the slump more unusual is that Schneider has been a model of consistency even on bad teams; this marks the first time in his career he's had a save percentage below 0.920 or a GAA above 2.30. Unfortunately for the Devils, they haven't seen a large increase in scoring to offset the poor play in their own zone. New Jersey currently ranks 26th in the league in scoring with 2.29 goals per game, which is just marginally better than the 2.22 goals per game average they placed them last in the league in 2015-16. 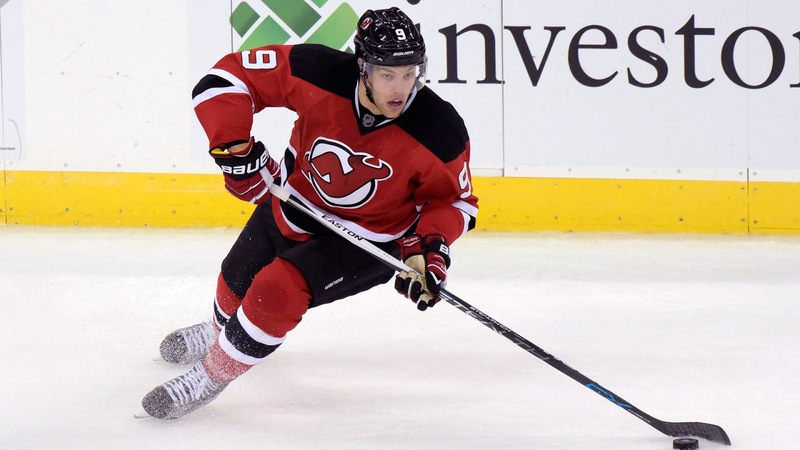 General Manager Ray Shero traded for Taylor Hall this past offseason in an attempt to correct the team's offensive woes, and while it hasn't worked yet it's certainly not the fault of the player. Despite missing eight games, Hall finds himself one off the team lead in points (22), goals (8), and assists (15). The biggest problem facing the Devils is that even with the addition of Hall, the team's scoring depth remains non-existent. Outside of Hall, New Jersey has a couple capable scorers at the NHL level, but no other players that could be confused for being strong offensive performers. The bottom six barely registers on the score sheet, let alone threatens the opposition in their own zone. One of the few bright spots for the team has been 22-year-old defenseman Damon Severson. The Devils' 2nd round pick in the 2012 NHL Draft has broken out offensively in his third season, and his 18 points (3g, 15a) rank 5th on the team. He's second on the New Jersey blue line in TOI and QoC, and his 48.9 CF% is a respectable number relative to the 46.6 CF% of his teammates while he's off the ice. - Mike Sullivan turned the Pens' 2015-16 season around, ultimately leading the team to the franchise's 4th Stanley Cup Championship, and he was rewarded yesterday with a 3 year extension. - While the Pens have been hit by the injury bug recently, they might have some good news coming soon: Kris Letang, Trevor Daley, and Tom Kuhnhackl all took part in the morning skate in no-contact jerseys for the first time since being injured.